Sindhu, seeded second, defeated Tunjung 23-21, 21-7 in 37 minutes to make the last-eight stage of her season-opener. 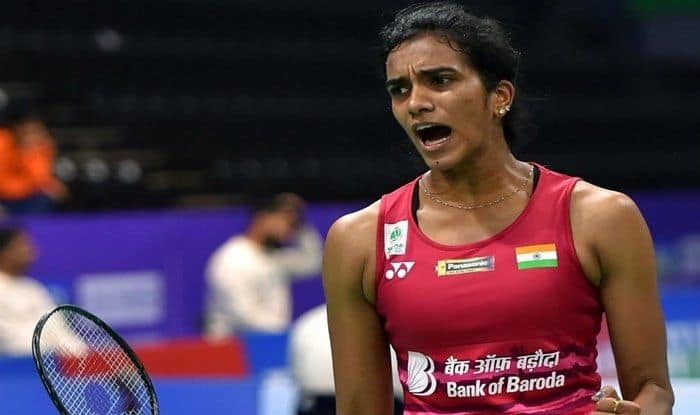 Star Indian shuttler P V Sindhu advanced to the Indonesia Masters’ quarterfinal after clinching a straight-game triumph over local favourite Gregoria Mariska Tunjung on Thursday. Sindhu, seeded second, defeated Tunjung 23-21, 21-7 in 37 minutes to make the last-eight stage of her season-opener. The Indian faced some competition in the opening game but completely dominated the second to keep her unbeaten record against Tunjung intact. Earlier on Wednesday, the Indian trio of Sindhu, Saina Nehwal and Kidambi Srikanth dished out superb performances on the opening day to advance to the second round of the USD 350,000 Indonesia Masters World Tour Super 500 badminton tournament. Olympic and World Championship silver medallist Sindhu opened the new season with a fighting 22-24 21-8 21-17 win over 2012 London Games champion Li Xuerui of China in a 54-minute women’s singles match. The second-seeded Indian will now be pitted against Indonesia’s Gregoria Mariska Tunjung. Eighth-seeded Saina, who had reached the semifinals at the Malaysia Masters last week, recovered from a first-game loss to secure a 7-21 21-16 21-11 win over local hope Dinar Dyah Ayustine, ranked 50th, in another women’s singles match. It was Saina’s third win over Ayustine. In men’s singles, eighth seed Srikanth eased past Malaysia’s Chong Wei Feng 21-12 21-8 to set up a showdown with Japan’s Asian Games bronze medallist Kenta Nishimoto. But compatriots B Sai Praneeth and Subhankar Dey failed to cross the opening hurdle at the tournament. 2017 Singapore Open champion Praneeth was sent packing 12-21 16-21 by Olympic champion Chen Long of China in 40 minutes, while Subhankar, who had won his maiden title at SaarLorLux Open in Germany last year, fought hard before going down 14-21 21-19 15-21 against former World champion Viktor Axelsen of Denmark.